Cooking in the kitchen can be a fun task but without an organised kitchen it can very much lead to chaos and untidyness. 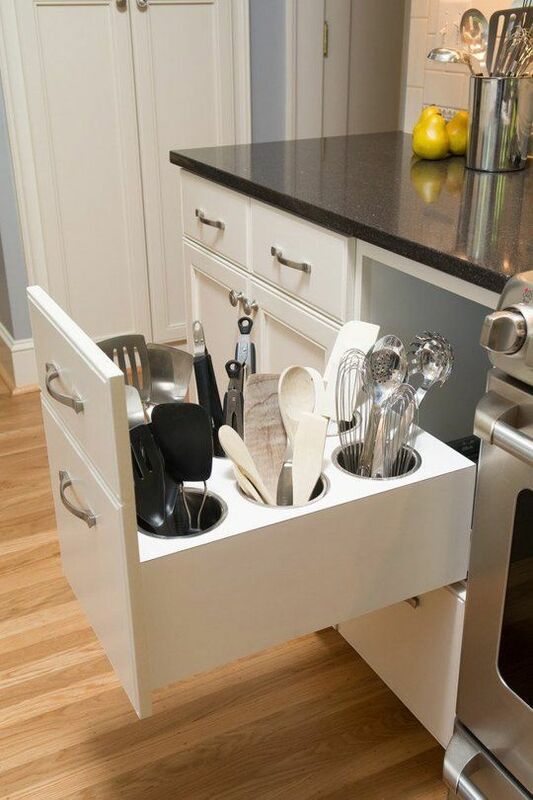 We’ve compiled a list of top 5 storage ideas for your kitchen. 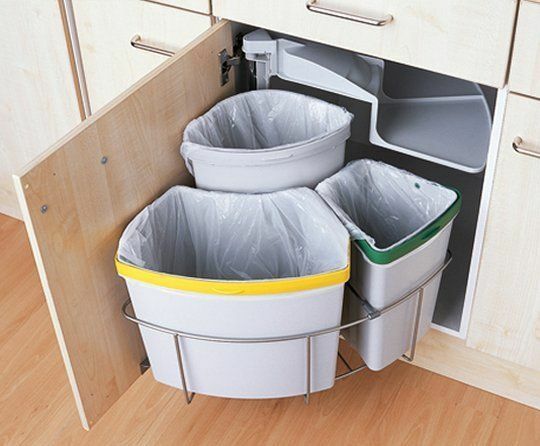 Bins can get in the way and by hiding your bins and attaching them on the door under your sink cupboard can be a handy idea when putting away rubbish in your house. Out of sight, out of mind! If you’re a bit OCD, you will love this pantry idea. Using a uniformed tupperware system you can keep your biscuits, nuts, snacks and ingredients without scrambling through the different types of boxes and packaging. It’s also a good idea to label each container. Finding your spatula and wooden spoons can be a mess. 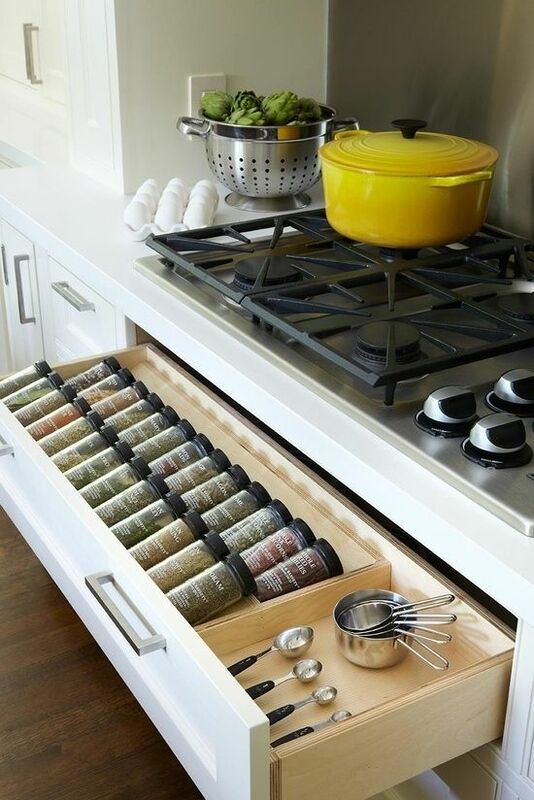 But by combining a pull out drawer with a vertical storage container, your tools can be less tangled and sorted easily. This nifty idea by DIY and Craft Magazine, is a great way to begin your cooking. By having your seasonings and spices sorted alphabetically in a drawer next to your measuring spoons and cups, it’s an easier way to navigate to find your ingredients and tools. 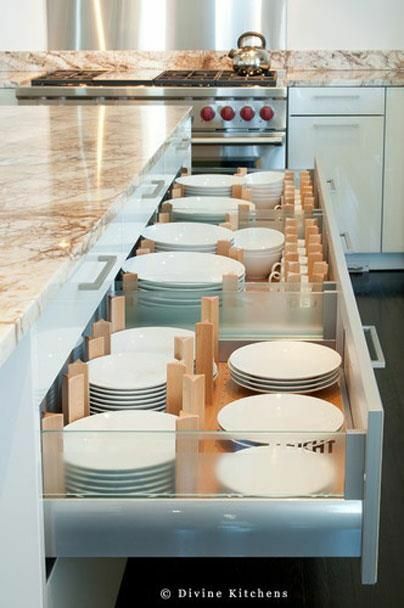 Instead of storing and scattering your places around cupboards and upper cabinets, try using elevated drawers. Using wooden separaters you can evenly segregate your plate sets.